I am a girl that loves to read, and I also love sharing my love of books with others, for these two reasons I have a great giveaway to share with you. A collection of children's books from Candlewick Press to keep growing the next generation of bookworms. Sixth-grader Lu Olivera who just wants to keep her head down and get along with everyone in her class. Trouble is, Lu’s old friends have been changing lately — acting boy crazy and making snide remarks about Lu’s newfound talent for running track. Lu’s secret hope for a new friend is fellow runner Belinda Gresham, but in 1970 Red Grove, Alabama, blacks and whites don’t mix. As segregationist ex-governor George Wallace ramps up his campaign against the current governor, Albert Brewer, growing tensions in the state — and in the classroom — mean that Lu can’t stay neutral about the racial divide at school. Will she find the gumption to stand up for what’s right and to choose friends who do the same? This is a story about a brave girl that chooses to make a difference despite what others may think. This is a great book for tweens who are starting to deal with peer pressure or are feeling insecure about standing up for what is right. My daughter is 10 years old and she is currently going through those tough years where you don't feel like you are part of the crowd. I always remind her that she is not alone in these feelings and when she sees someone who is sitting alone at lunch, or not socializing with others at recess, she should go and talk to them. Children need to know the importance of being kind to all and this book is a great reminder of that. Lily, it’s the worst first day of school ever. Who would want to be friends with the new girl, whose debut act is to throw up on the playground (on somebody’s shoes!)? Fortunately, quirky Darby comes to the rescue. Darby likes frogs and candy and oddball stuff, and soon she and Lily have formed their own club — the Rizzlerunk Club. But before you can say “BFF,” Darby’s former best friend, mean-spirited Jill — who had moved to London — returns unexpectedly. Can Lily and Darby’s friendship survive the British invasion? Peppered with charming illustrations and hilarious mishaps involving “conjoined” frogs, accidentally shaved eyebrows, and school pranks gone awry, this engaging tale of fourth-grade life will have readers wishing they could join the Rizzlerunk Club for real. This is another great book about being the new kid in a new school and the feelings that come with it. All kids worry about making friends and fitting in and meeting someone like the character Darby in this book can make school a whole lot better. It's a sweet story about young friendship and is filled with adorable illustrations. This is a fun book for younger readers. It is not too long, the words are large printed, and it is filled with colorful illustrations. This short chapter book is perfect for a young reader that is moving on from simple books but not quite ready for a 100 book read . This part poetry, part short story is is a creatively quirky read. It's a great example of creative writing filled with the nonsensical and made up words. I have always been a fan of poetry even when I was a child, but not everyone is. This book might just change the mind of a young reader who thinks poetry is boring. This is a great story about a young boy who feels responsible for a terrible tragedy and how he deals with it. It can be sad at times and a little frustrating and deals with some difficult subjects and therefore more suitable for mature young readers. It is also heartwarming and a story about overcoming obstacles and not giving up hope. I think young teens will find the characters both relatable and likable. You can get your hands on these books wherever books are sold. I am also hosting a giveaway for one lucky Girly Girl reader to win all 5 of them! I am excited about My Year in the Middle for my daughter who is in middle school. Fergus and Zeke at the Science Fair sounds like an excellent book. I'm excited about the dollar kids; i think my daughter will really enjoy this book! I would say Fergus. & Zeke! Im most excited about fergus and zeke at the science fair! I'm excited about the dollar kids, I think my daughters would love it. My boys like the Fergus and Zeke series so we are most excited for that one! I think my granddaughter would love Fergus and Zeke at the science fair. Fergus and Zeke at the Science Fair my 7 year old likes that one the best. THanks for the chance. I think my son would enjoy reading Fergus and Zeke together. My daughter would love the other books! My son would probably like The Dollar Kids. Fergus and Zeke at the science fair looks like it would be fun. I think the dollar kids sounds fun. My daughter would love them all! I think my kids would enjoy The Dollar Kids the most. I am most excited about The Rizzlerunk Club: Best Buds Under Frogs . 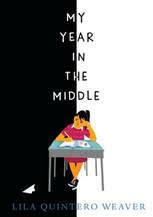 I am most excited for the book my year in the middle. My child is currently in sixth grade and would enjoy . 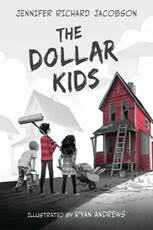 i am excited about The Dollar Kids, hope to get to read it to my kids! My daughter would go for My Year in the Middle first! I am most excited for Year In the Middle. Having a kid in this age group would be fitting for her. I am most excited about Ferguson and Zeke at the Science Fair. 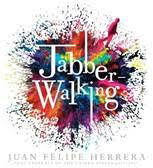 Jabberwalking sounds interesting. I'd use it as a springboard to get students writing. I'm most excited for Jabberwalking. My niece will enjoy it. Very excited to read Jabberwalking! Fergus and Zeke are what my gals want to read! The Rizzlerunk Club: Best Buds Under Frogs. I'm most excited about The Dollar Kids but they all look great. Ferguson and Zeke at the Science Fair looks like a fun book. I know that my grandson would be most excited about the Jabberwalking! My grandchildren would absolutely love reading the cool Jabberwalking for great entertainment. I have granddlchildren that would definitely like reading the amazing My Year in the Middle for lots of fun. 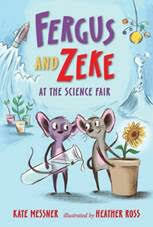 My nieces and nephews would really enjoy reading the marvelous Fergus and Zeke at the Science Fair for an exciting and fun time. 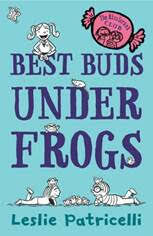 A wonderful The Rizzlerunk Club: Best Buds Under Frogs, my grandchildren would always like and love to have for some fun reading..
My many children would just enjoy reading an awesome and great The Dollar Kids for an interesting time.